Thorsten received his diploma on electrical engineering and his Ph.D. on digital image processing and transmission form Technical University Dortmund in 1988 and 1991 respectively. 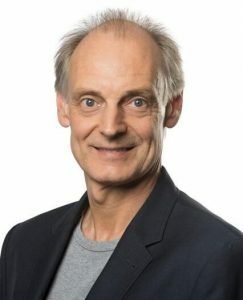 In his industrial and academic carrier Thorsten published more than 150 papers and articles, holds more than 15 patents and has led large scale collaborative research projects of several 10 Mio. € volume, funded by the German National Science Foundation, Ministry of Research and Education and the European Commission under FP7 and H2020. He served as the Dean for Mathematics and Computer Science 2006-2008, as the University’s Vice President Research and Technology Transfer 2014-2017 and as the Director of Research and Operations of the Intel Visual Computing Institute 2009-2017. Shi Jin received the Ph.D. degree in communications and information systems from the Southeast University, Nanjing, in 2007. From June 2007 to October 2009, he was a Research Fellow with the Adastral Park Research Campus, University College London, London, U.K. He is currently with the faculty of the National Mobile Communications Research Laboratory, Southeast University. His research interests include space time wireless communications, random matrix theory, and information theory. He serves as an Associate Editor for the IEEE Transactions on Wireless Communications, and IEEE Communications Letters, IET Communications, and a member in SPCOM-TC. 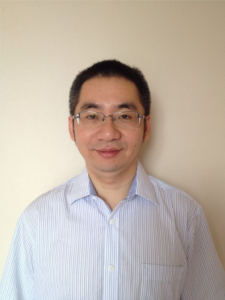 Dr. Jin and his co-authors have been awarded the 2011 IEEE Communications Society Stephen O. Rice Prize Paper Award in the field of communication theory and a 2010 Young Author Best Paper Award by the IEEE Signal Processing Society.